A few weeks ago, a team of Uftring Auto Group employees took a trip down south to New Orleans, Louisiana for the annual 2014 NADA Convention and Expo! We got some sneak peeks of what’s ahead for the Ford Motor Company and meet with fellow Ford dealers located all over the country. During the convention, we had the opportunity to get up close and personal with the all-new 2015 Ford Mustang! This beauty is a beast. 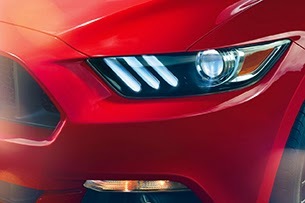 The all-new 2015 Ford Mustang sports car is the sixth-generation Mustang Ford has revealed, equipped with more fun and features than ever before. The look of the new Mustang looks mighty and fierce. We love this new 2015 model for many reasons, including the three incredible engines you can choose from. Each one more powerful than the next, the new pony has a 5.0 liter V-8, a 2.3 liter EcoBoost 4-cylinder and a 3.7 liter V-6. We know which engine we’d pick, which one would you? The interior is a whole other story. Inspired by aviation cockpits, you feel like you’re flying! From the controls to the gauges and steering wheel, the Mustang theme is apparent. New technology in every Mustang gives you that feeling of having the most prestigious and top-notch technology that is hard to find in cars right now. From the available touch screen dashboard to the standard push-to-start engine, you’ll impress anyone who takes a ride. Imagine driving down your favorite Peoria area road, windows down, knowing you’ve got the hottest car on the highway. That’s a pretty cool feeling. Appearance aside, the 2015 Mustang is safe and as a brand new sports car, it’s affordable. You don’t have to be a millionaire to own the classic Ford Mustang. We’ll have the new Mustang on sale later in the year, and we’ll be the first to let you know when you can come test drive one right here in East Peoria at the Uftring Automall! If you’re interested in learning more about the popular new Mustang, contact your salesman or call 309-694-0700. 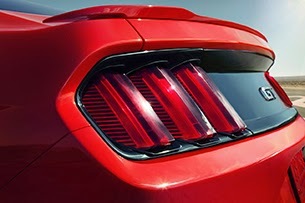 Click here to view our current Mustang inventory.